Note: I’ve taken a break from the blog for some time to focus on my trademark case that went to the Supreme Court (read the article about it via Rolling Stone here) but I’m going to be posting articles on a regular basis for aspiring artists. Next month, I’ll be launching a new podcast dedicated to the music industry…so keep checking back to learn how you can get featured! Whether you are trying to get on the bill with your favorite artist or you are booking in a new town for the first time, there are some things that you ought to know. Find the Right Venue: I can’t stress this enough, even for seasoned veterans. Not only should you pick the right venue by scene (appropriate genre of music), but you should find a venue that is just a little bit smaller than what you need so that you can pack it out. A promoter would much rather you bring in 100 people to a place that fits 75 than if you bring 400 people to a place that fits 2,000. Realistically determine what you can by finding out what the venue capacity is before you even bother contacting them. 2 Paragraphs or Less: In 2 paragraphs or less, explain how you will make them money: basically, how well you can draw and how you’ll promote the show. The more you focus on that, the better. If they want to know what you sound like, they’ll click on your link. No need to spend 4 sentences describing who you sound like. Follow up: If you don’t hear anything, send a polite follow up about 10-15 days after your initial email. Often, messages get lost or people get busy. Do this before calling. Don’t Overbook: It’s tempting to look at the empty dates on your band’s calendar but whatever you do, do not saturate a market. Wait at least one month between shows in any 50 mile radius. The only exception is if you have a weekly residency. Promoters hate this, it kills your draw, and it bores your fans. Don’t Expect The Promoter to Handle the “Promotion:” It seems a like a misleading title, doesn’t it? The fact is that venues are relying on artists more than ever to do the marketing and bring the crowd in. They will expect you to contact the local press, to promote online, to create flyers. Yes, you should be doing all of those things. Don’t Pay to Play: I do not believe in the “Pay to Play” model where you end up paying some kind of fee to get on a show. Those shows typically either mean the promoter is unsure themselves whether or not a decent crowd will be there and that it probably isn’t a good fit. Don’t Oversell Yourself: If you are not ready to play larger sized rooms, don’t try and worm your way in. Remember, it’s always better to oversell tickets than to oversell your band’s ability to sell them. Don’t Assume The Show Is On: Unless you receive a confirmation with load-in times or see the show listed on their website, don’t assume that you’ve got the gig. Sometimes, promoters will just give you a tentative “hold” but still need to confirm the calendar. Make sure that this is absolutely clear first. 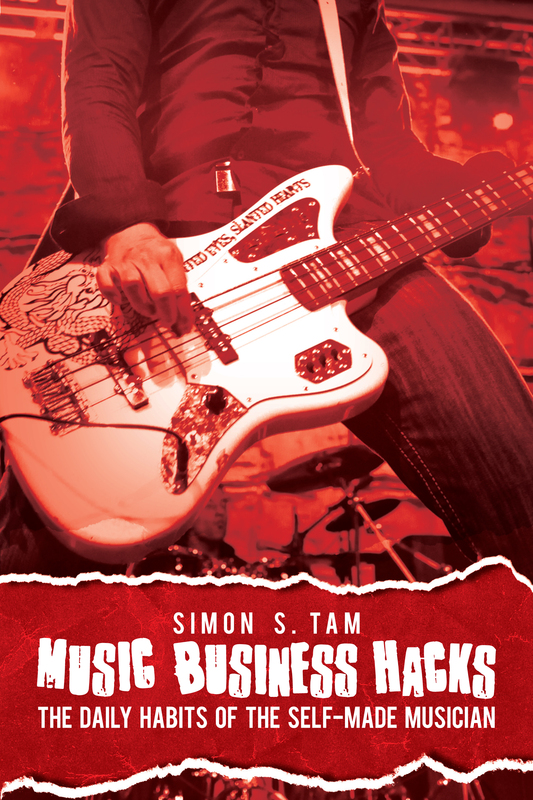 One of the most important parts of booking is how you “pitch” your band (more on it here). Your booking email should be less than two paragraphs and every line should answer the question: why should this venue book you? Take some time to review the email that you send when booking shows. Look at some other examples/templates online. Then, rewrite your booking email a few times. Check all of your links, shorten them using bit.ly if they’re taking too much space. Send different versions of it out to friends and get some feedback.